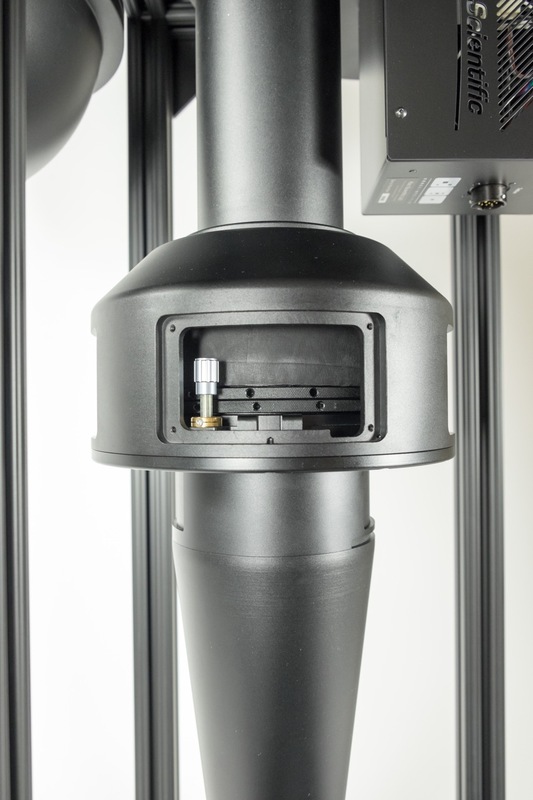 The FPI system includes a Keo SkyScan first-surface articulated mirror assembly for pointing the FPI's narrow field of view to any point in (or quadrant of) the sky, or for scanning along any pre-defined trajectory. 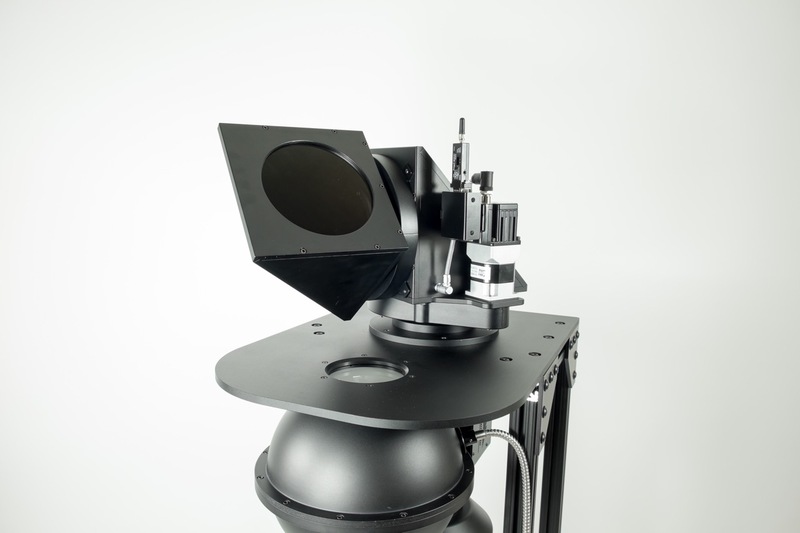 Also included is a thermally stabilized etalon, back-thinned, deep-cooled CCD/EMCCD (lifetime vacuum guarantee), a frequency-stabilized laser (630.4 nm), and an integrating sphere (located at nadir, for acquisition of laser calibration images). See photos below. 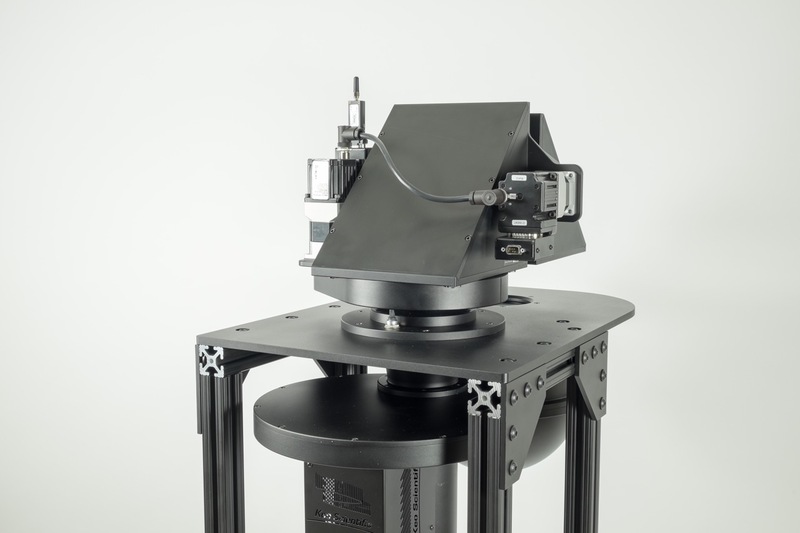 While a 70 mm etalon is standard, the instrument may be fitted with etalons of any diameter (up to 150 mm, for even better sensitivity), and/or CCDs up to 27.6 x 27.6 mm (for additional rings, better SNR). 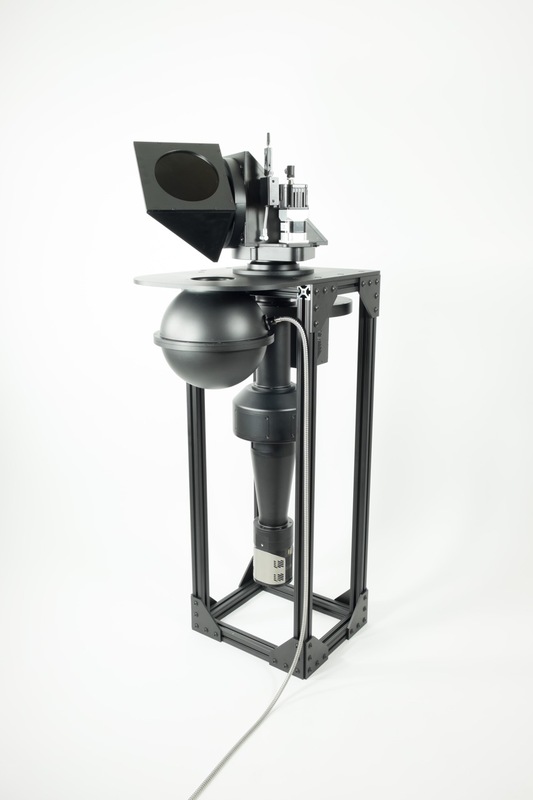 Please contact us with details about your particular measurement requirements. For specifications and suggested operational scenarios, see this brief brochure as well as the Keo SkyScan Hardware User Manual and the Keo SkyScan Software Manual (for software developers — optional if the included FPI instrument control & data acquisition software is used). 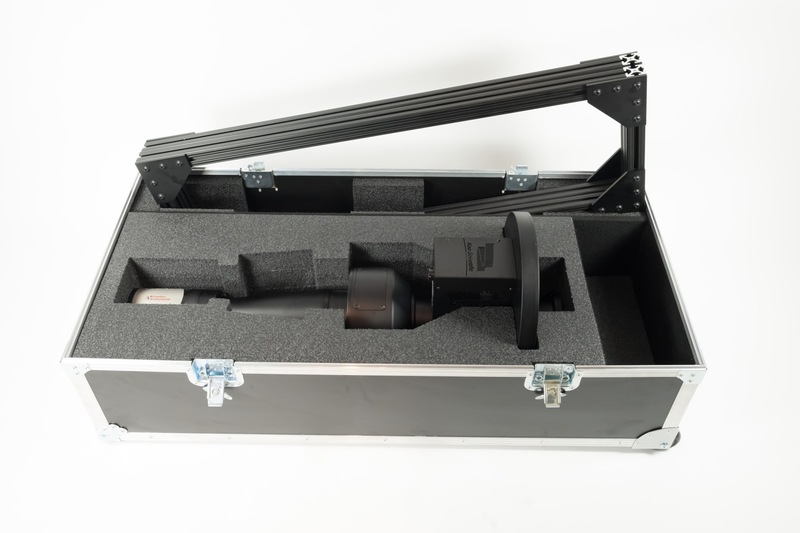 The instrument comes with a sturdy and versatile mounting frame. 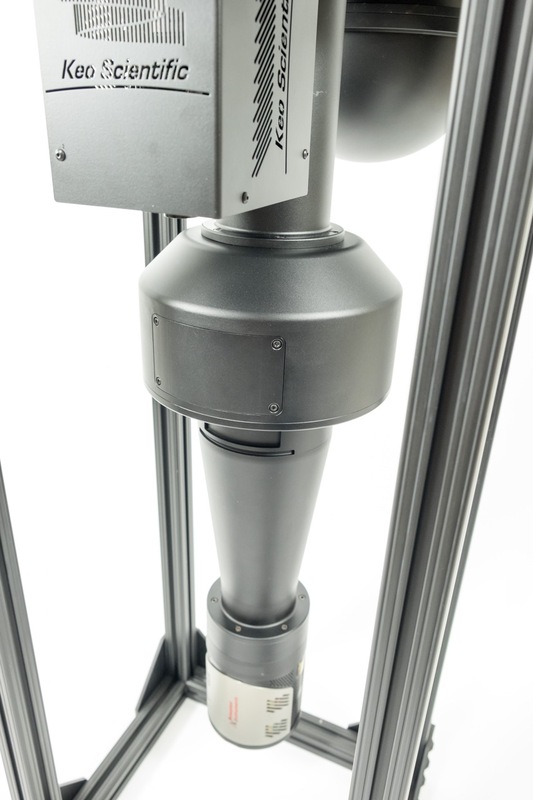 Here is a dimensioned FPI System Assembly Diagram. 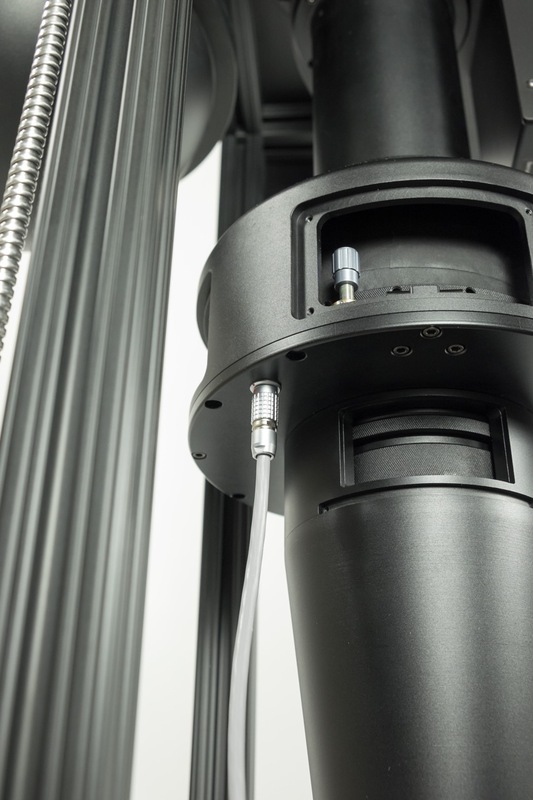 The ease by which our FPI System may be assembled is evident from these easy-to-read Assembly Instructions. 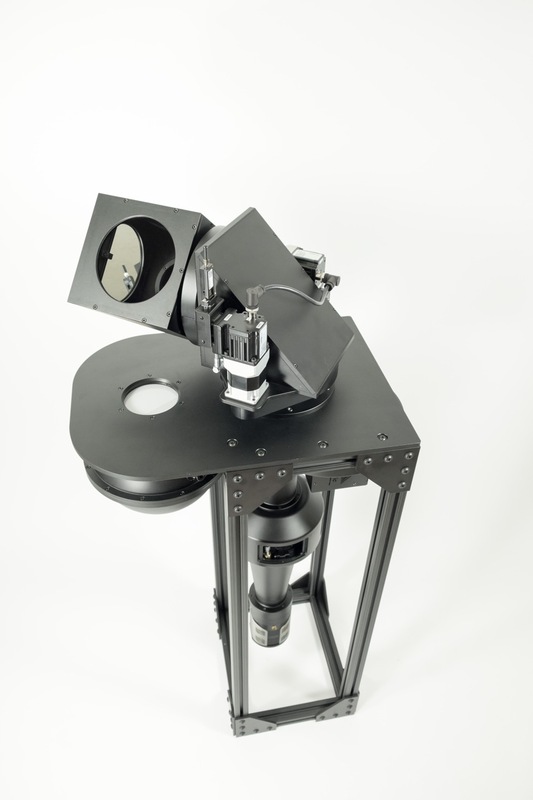 The Keo Arinae Fabry-Pérot Interferometer boasts a remarkably low walk-off as compared to other FPIs currently used for upper-atmosphere studies. This low walk-off across 9 to 11 orders (assuming a 13.3 x 13.3 mm CCD/EMCCD) — a result of elegant optical design — is illustrated in the following figure, which is an actual sky image. (Image courtesy of Dr. John W. Meriwether, Clemson University). 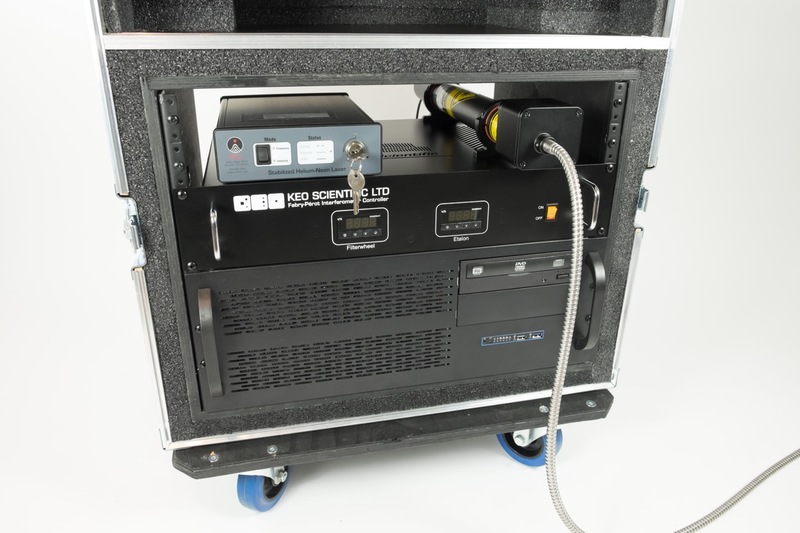 The Arinae comes with a single-filter slot (630 nm), but is also available with optional 5 to 8-position temperature-stabilized filterwheel. 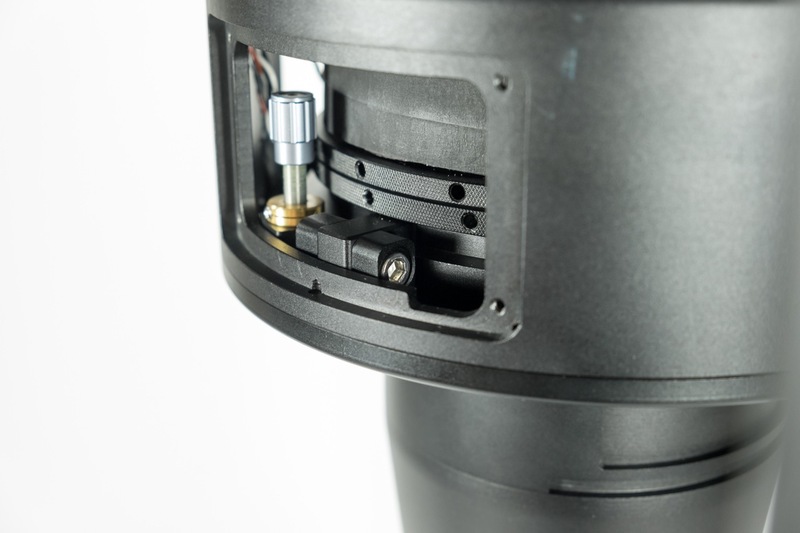 The photos below show an Keo FPI fitted with a 6-position filter wheel. 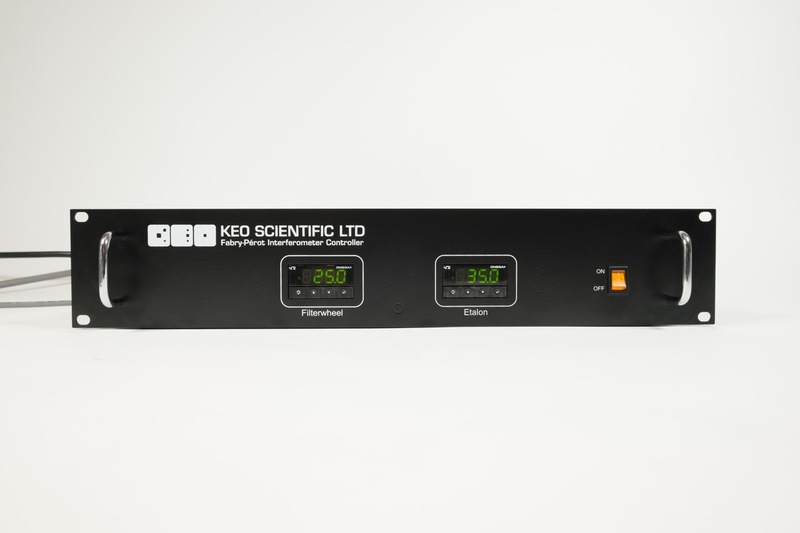 A large selection of suitable high-transmission, narrow-band interference filters is available. 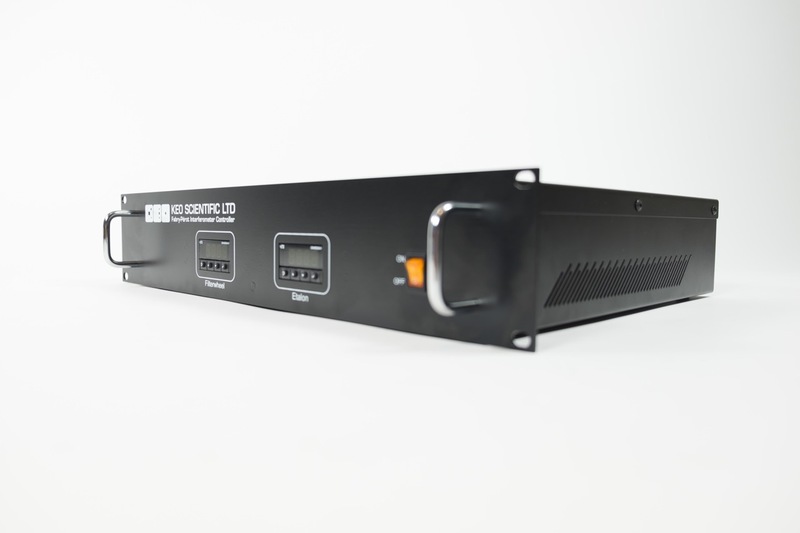 This "turn-key" FPI System comes with a full ephemerides-driven instrument control & data acquisition package, pre-installed and thoroughly tested on a custom-built (server-class, for reliability) control-computer in a 6U rack-mount (which doubles as a robust shipping case). Scroll down for photos. Contact us by email for additional information.